I’m going to guess there are a few of you reading this and shaking your heads saying, “that’s not coleslaw”. 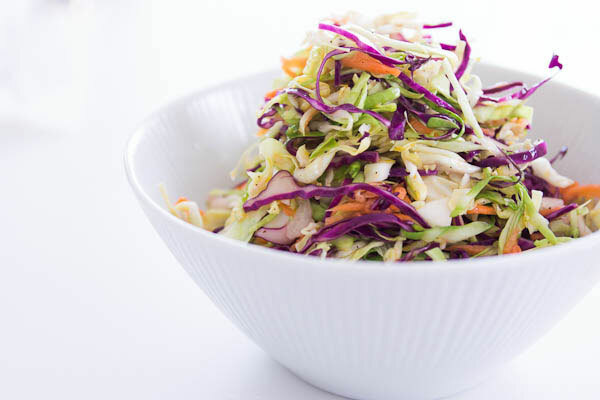 Just to set the record straight, the word coleslaw comes from the Dutch word koolsalade, which literally translates to “cabbage salad”. 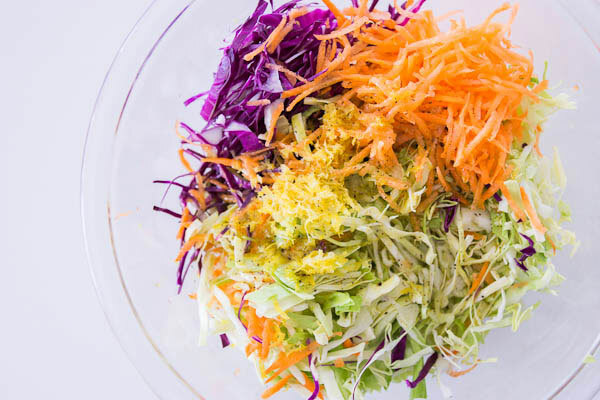 Lately the word “slaw” has taken on a life of its own, referring to salads made with all kinds of vegetables such as kale, carrots, and kohlrabi. The one thing they all have in common is that they’re all shredded. I used lemon here, but this is also great with vinegar, or lime juice. I also like to add celery seed or caraway occasionally and while I personally steer clear of mayo, whole grain mustard is a condiment that plays nicely with cabbage. 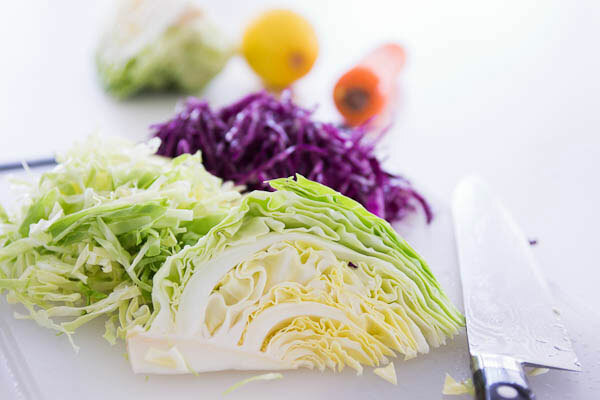 When buying a head of cabbage for coleslaw, you want to find a young fresh one, as the leaves tend to get tough as they mature. Look for a firm head that’s heavy for its size. 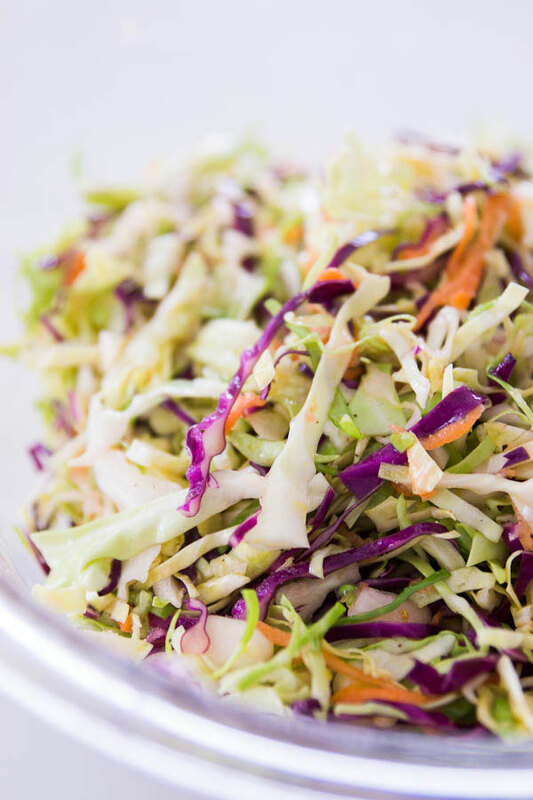 Try a healthier alternative with this no-mayo coleslaw recipe with lemon juice and honey for extra flavor. 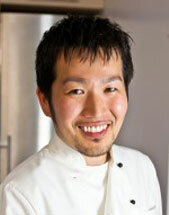 Food blogger Marc Matsumoto explains why he prefers his coleslaw without mayo in a full blog post on the Fresh Tastes blog.